Why do mozzies insist on buzzing around your ear? Nope, Queen Elsa isn’t the only one with a penchant for a frosty wonderland. Blame it on the omnipresent humidity if you will, but us Indians have a soft spot for the soft romanticism of a wintry fairy tale. The tail end of the year brings with it an upsurge in roka ceremonies and weddings, the latter being a tad more demanding than a summer wedding where a lush landscape and vivid florals serve as a forgiving canvas. 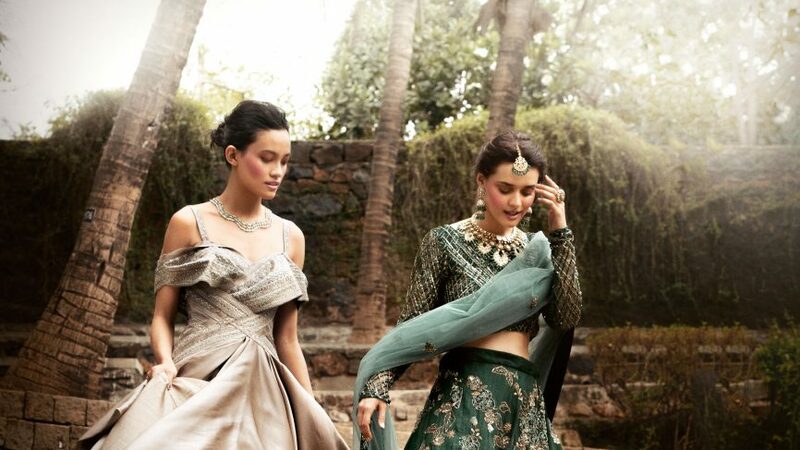 If you’ve circled a date in the last quarter of the year for your nuptials, like Deepika Padukone and Priyanka Chopra, here’s all that you’ll need to do to ensure that yours stands out amongst the competition. Despite the nip in the air, your options aren’t limited to banquet halls. Most areas of the country are warm enough to host an outdoor ceremony, preferably during the daytime, and a cosy country house will work well for an intimate affair. If you’ve got your heart set on a snowy backdrop for your bridal march, spin the atlas closer to the northern regions of the country—the scenic locale of Kashmir and the surrounding hill stations will serve up a showstopper backdrop for your wedding album. However, since the last three months of the year coincide with the peak of the wedding season, you’re going to want to get your bookings done the very second you say yes, as most venues are booked at least six to eight months in advance. In keeping with the wintry mood, let the cooler tones on the colour palette dictate your wedding colours—think lavender, peach and dusty blue. Likewise, work in a hint of sparkle into the decor—candles, fairy lights and crystals will help draw up a cosy ambience to serenade your guests. Since the days are consecutively growing shorter, you’ll want to get your panoramic shots early on in the festivities before you lose the light. If there’s a chill in the air, your guests are likely to be clustered in groups, so go the extra mile with the table decor: white florals, fragrant tea lights and miniature ice sculptures are sure to dominate the camera roll of all your attendees. The only drawback of hosting a winter wedding is that it falls squarely in the window of festive holidays and party season, so there’s a good chance that your guests will have already made plans in advance. Once you’ve decided on the location, send out a round of save the dates, even if you’ve yet to finalise the exact venue, so that your guests ] know not to make any other plans for the requisite dates. In keeping with the decor and the destination, look to cooler tones over vivid jewel shades to paint a cohesive picture of the festivities. If you’ve got a smaller guest list in mind, employ the services of a hand-lettering artist to add an extra touch of personalisation to the otherwise generic invites. A dip in the temperatures doesn’t necessarily mean having to resort to bulky, shapeless silhouettes. Sure, the backless options may be out, but the world of possibilities is open with some handy layering. Gossamer-fine capes and flowy jackets have become a mainstay on the trend charts, and the timeless allure of a dainty veil will serve you well too. If red holds symbolic sentiment for you, opt for a traditional lehenga in this time-honoured hue. Otherwise you can take a break from tradition with pale champagne, dusty pastels and ivory too. Work in pinks and blush tones in your makeup palette to add to that rosy bride-to-be glow, and you’re all set.